School essays demonstrate students’ abilities and skills expressing their personal opinion on a certain topic in an argumentative way. This opinion, at any rate, should be well-informed, i.e. to be based upon available information in the given field. Some essays require more analysis; other could be written with more pathetics (emotionally); third type of essays is mere descriptions or expositions of facts or experiences. As you can see here, the genre called essay is very diverse, so it includes plenty of types of essays. How Long Should It Take to Write a 500 Word Essay? What to Write in a 500 Word Essay? How to Write a 500 Word Essay for a Scholarship? How to Write a 500 Word Essay for College? How to Write a 500 Word Essay Plan? How to Write a 500 Word Persuasive Essay? How to Write a 500 Word Essay About Myself? The paper you should write is restricted in length. Five hundred is the number of words your text should contain. Perhaps you wonder why a 500 word essay should consist of five hundred, and not of seven hundred words, for instance? As a matter of fact, classical essays are much longer - ten pages, fifteen pages, and even more. But this current kind of essay shows your skills to present information in a concise way as well as formulate your own opinion in short. Hence, writing a 500 words essay seems to be a difficult task because it is not that easy to expose your ideas in five hundred words. You may be wondering how many pages is a 500 word essay, don’t you? Usually, 1 full page contains between 225-250 words written in Times New Roman or Arial font, double-spaced. Therefore, 500 words would take up two full pages. Usually, 1 full page contains between 225-250 words written in Times New Roman or Arial font, double-spaced. Therefore, a 500 words essay would take up two full pages. You should pick a topic for a 500 word essay which seems not only interesting for you, but also such which is familiar to you. The other thing related to the topic is to interpret it in the proper way. You must be sure that you have comprehended your task and the topic itself; if not, you should ask your instructor for details. You should be able to gather facts, statistics, opinions, theories, etc. Do not go too far: your 500 words essay cannot include more than two short quotations; and if you want to refer to scientific theories, you need to quote a lot. Thus, this is not the right place to do so. You have to put stress rather on the point of view than on the theories available. Think of your thesis or this may be your opinion but based upon what you have read by now. The thesis of a 500-word essay must show your neutrality, i.e. formulated in objective terms. The thesis could read as follows: “Poverty is caused not only by economic factors, but also by the lack of proper education.” This example is very simple, but you need to follow such a style of expression. The thesis of a 500-word essay must show your neutrality, i.e. formulated in objective terms. This is not an inevitable part of your essay, but it will make your thesis more impressive. It is always good to show that you have read a lot on the topic, and you are able to show respect for your opponent/s. At the same time, it should repudiate the counter-thesis. You can refer to some statistics about the relation between poverty and lack of education, for example. It is absolutely not necessary to use quotations in your 500 word paper, but still you can quote a renowned researcher who has published plenty of books and articles on the topic. Remember: do not quote encyclopedias or textbooks! Quote only academic books (monographs), academic articles or dissertations. You should also avoid newspaper articles and opinions exposed on Internet forums. Do not repeat them word for word, but rather you have to formulate them again (but in shorter form). Four or five titles which are related to the issue, and have been read by you will do. Format the bibliography according to the academic standards (ask your instructor for details). the need for research and the level of research needed – some essay topics don’t need to be researched while others do. The topics vary in complexity so topics to be researched for a 500 word paper can have varying levels of research needed, from light to heavy. how familiar the writer is with the topic. the word count required for the essay. Based on this, a 500 word paper should take a minimum of 30 minutes to write. A five hundred word essay is done just like any other essay; it needs an introduction, body and conclusion. Introduction. Begin your 500-word essay on a high note with an attention-grabbing first sentence. In this section, you need to include a thesis statement and explain how you will put forward your supporting points. Body. Here you need to explain each main point and provide the necessary supporting evidence. Conclusion. In a concise manner, you are required to close your 500 words essay by re-stating the thesis and the main supporting points. Writing a 500 word essay for a scholarship is similar to any other essay in that you use the same structure with an introduction, body and conclusion. However, there are a few other points to consider when writing a scholarship essay. Read the topic carefully. Make sure you read and understand the question being asked or the essay topic so that you are able to interpret and write the best and most accurate essay for a scholarship. Write a rough draft. In this initial outline, you will make notes about your main points that you want to bring out in the essay and then structure it accordingly before you actually write the first draft of your 500 word scholarship essay. Have someone you trust proofread your essay. This will allow them to pinpoint any errors or needed changes that you overlooked. Also, they may be able to provide insight and additional points you did not think of. This is very helpful when you are revising and editing your essay prior to submission. Editing the final draft. 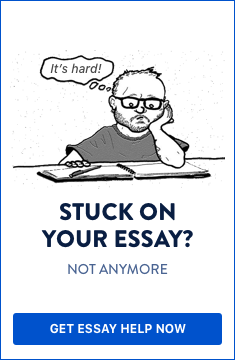 This comes after you have read your essay and had a trusted person proofread it as well. Here you will make any necessary changes needed to fine tune and finalize your 500 word essay for scholarship. Writing a 500 word paper for college can be daunting but following these tips will help make the task easier. Make your personality shine. When writing 500 word essays for college, make sure you write in a manner that is true to your writing style and your personality can be felt from the pages. If asked to write about yourself, there’s no need to write your entire life story; choose one or two applicable and relevant events to highlight for the essay. Start with a bang! As with any essay, your first sentence must grab the reader’s attention, hold it and make them want more. Your reader must enjoy your essay from start to finish. College essays have a limited word count and as such you only have so many words to explain your thoughts. Make good use of this opportunity by writing only what is relevant to what is asked. Proofread and edit. This might go without saying, but proofreading and editing are the most important things you can do. You wouldn’t want to submit an essay with spelling and grammatical errors, would you? To avoid this and other mistakes, read, reread, proofread and edit carefully. An essay plan is an outline of how you will write your essay. In writing a 500 word essay plan, you will want to do the following. Know the total word limit for your essay and then allocate a word count per section for the introduction, body and conclusion. Make notes of the points to be made and discussed in each section. Doing this will help you to make a rough draft of your essay. When writing a 500 word persuasive essay, you will need to follow these steps. Carefully read and understand your topic so that you are able to interpret it correctly and take a stand/position. Research your topic and the areas surrounding it to get a good understanding of all aspects. Draft your 500 word essay plan. Write your 500 word essay, ensuring that you cover all the necessary points needed for the introduction, body and conclusion. Remember, in a persuasive essay, you need to put forward points that support your position and convince your reader of your point of view. Reread and proofread your essay so that you are able to edit and fine tune it to perfection. Writing a five hundred word essay about yourself is hard because there is so much to tell in so little words. In order to do your best for this task, keep it simple. Introduce yourself and concisely state who you are, what are your interests, talents and achievements. Next you will want to choose one interesting event in your life that has had an impact and explain what it was and why it had that impact. You may conclude by stating what you hope to achieve in the future and how what you have done in your past or current situation will allow you to achieve it. Most importantly, make sure your 500 word essay flows well and the story you tell is an interesting one. Having read the above tips, you know more about how to write a 500 word essay. Be confident in your skills - experience will teach you how to improve your writing! Need help with writing a 500 word paper?